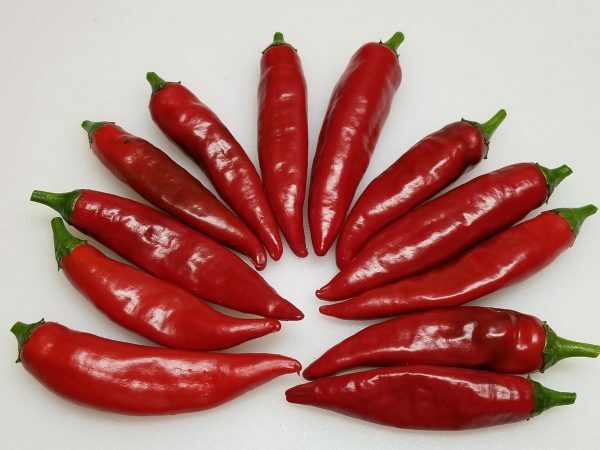 Kori Sitakame-(Capsicum annuum)-High up in the Tarahumara mountians which are part of the Sierra Occidental range in Chihuahua, Mexico lies the Tarahumara Indian Pueblo of Noragachi. The Tarahumara indians live her at over 7,500 feet above sea level and are known for their amazing feats of distance running. 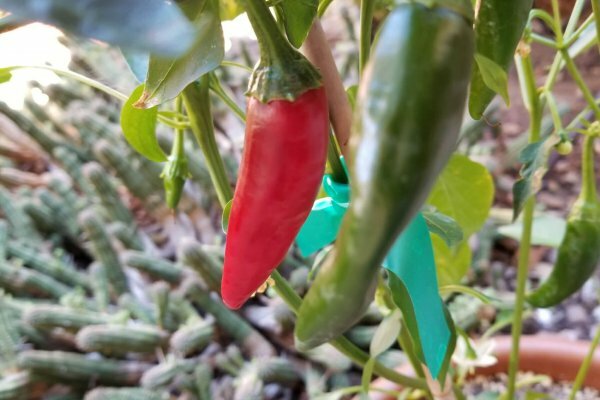 This is where the Kori Sitakame chile is grown. 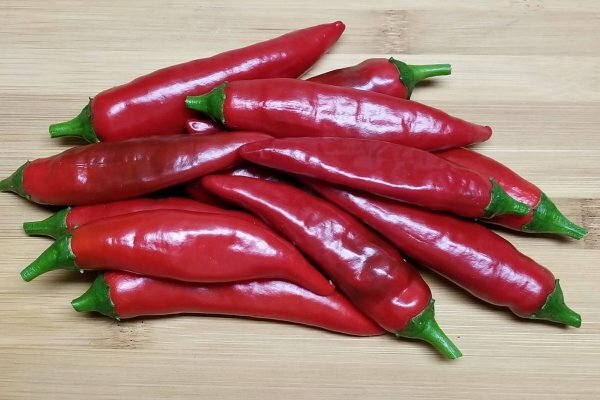 The Kori Sitakame chile has thin flesh and has a pear like flavor. 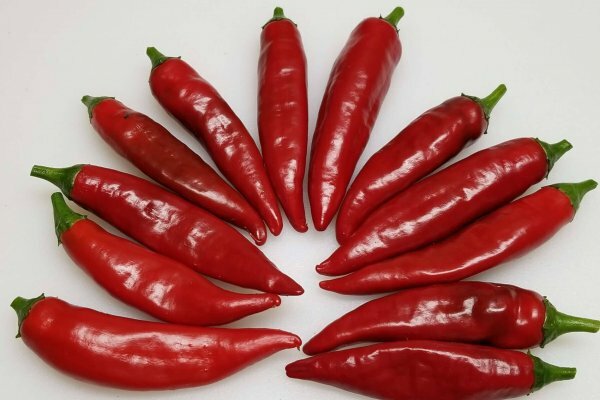 It ripens from green to red and has smooth skin. They average 3 to 4 inches in length and just under an inch in width. 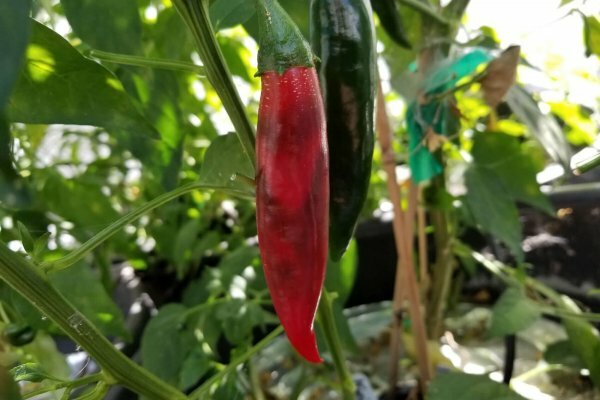 The heat is medium like an average jalapeno heat and is quick to come on. 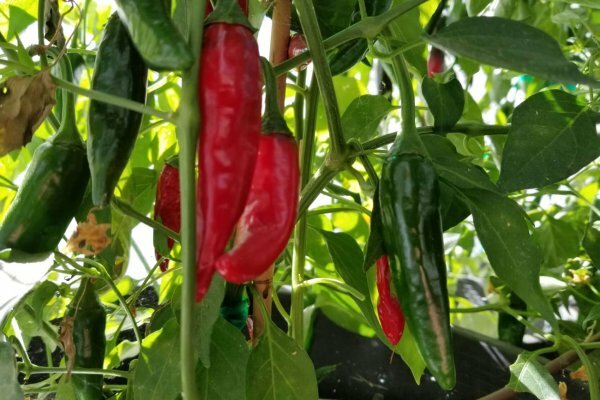 The Kori Sitakame chile plants grow over 4 feet tall and need staking or caging as they will bear much fruit. High up in the Tarahumara mountians which are part of the Sierra Occidental range in Chihuahua, Mexico lies the Tarahumara Indian Pueblo of Noragachi. The Tarahumara indians live her at over 7,500 feet above sea level and are known for their amazing feats of distance running. 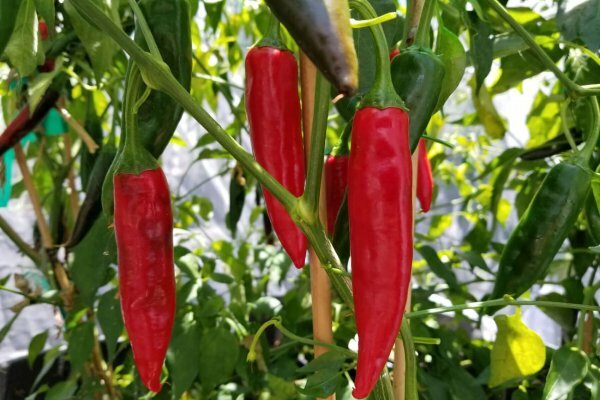 This is where the Kori Sitakame chile is grown. 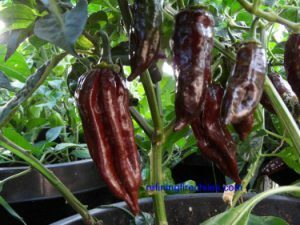 The Kori Sitakame chile has thin flesh and has a pear like flavor. It ripens from green to red and has smooth skin. 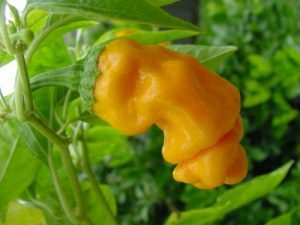 They average 3 to 4 inches in length and just under an inch in width. 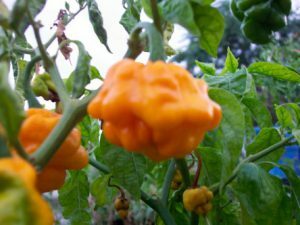 The heat is medium like an average jalapeno heat and is quick to come on. 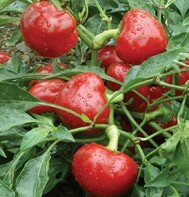 The Kori Sitakame chile plants grow over 4 feet tall and need staking or caging as they will bear much fruit.